The Zest café at the Canolfan Gorseinon Centre serves a mix of breakfasts. 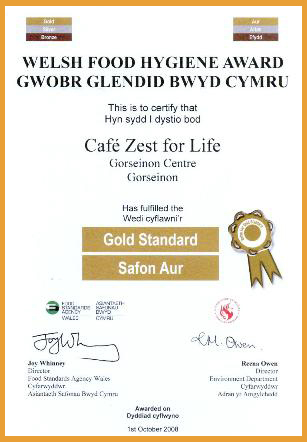 The café is proud to have qualified for the Welsh Food Hygiene “Gold Standard Award” and has also achieved a 5 Star excellence rating from the Food Standards Agency Scheme called “Scores on the Doors” run by the City & County of Swansea with perfect scores achieved from the Inspection Team. 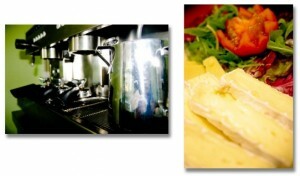 We endeavour to source Fair Trade products wherever possible and all food is locally sourced and freshly prepared daily. 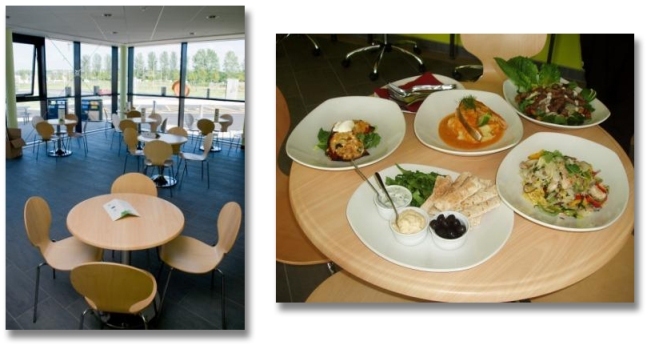 With FREE WiFi Access and a large screen TV you will have plenty of entertainment while you savour our mouth-watering dishes. Zest For Life café is part of the Gorseinon Development Trust and is a non-profit organisation.